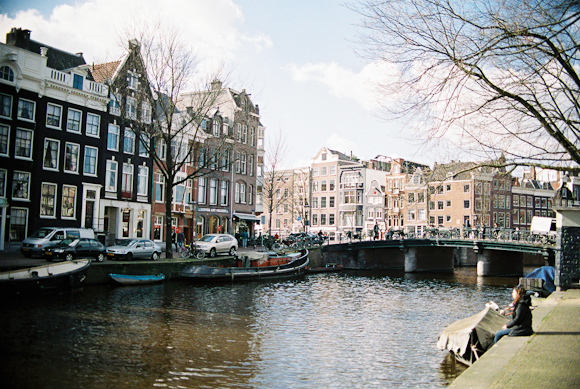 It was so good to finally visit Amsterdam back in March. It is such a beautiful place in so many ways. My friend Luke and I travelled to see the band Haim play (they were amazing live! ), and spent a few days exploring. There were so many pretty bridges crossing the canals, bicycles everywhere (be careful where you walk! ), gorgeous old terraced houses growing charmingly wonky with age, wooden shutters, and tulips of course! I was so happy wandering around with my camera and it was so inspiring to spend some time there. 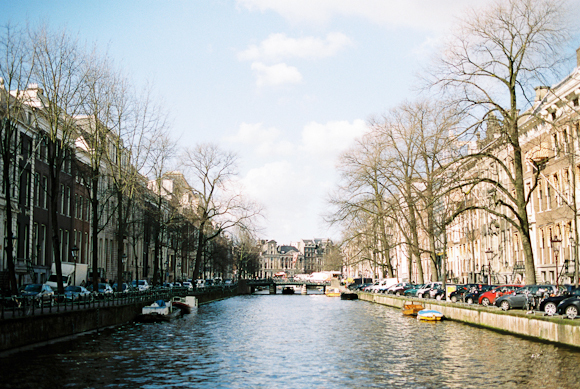 Amsterdam is a lovely place to explore. We discovered so many museums and galleries, nice places to get food and live music at bars and pubs. It's a great place to just sit and people watch too. It was so easy to get around by foot, and hard to get too lost! Loads of the places we wanted to see were within walking distance of each other. The people were so nice and friendly and I kind of felt like I was home! I'd love to return for another trip - maybe at a time of year when it's a bit warmer! Hope you enjoy the photos! Click here to view the whole gallery and buy prints!